We have not set the dates for this years Archery Beginners Courses yet but you can still contact Dave Young HERE and get add to the waiting list. Why Should I Take an Archery Beginners Course? How Do I Join an Archery Beginners Course? 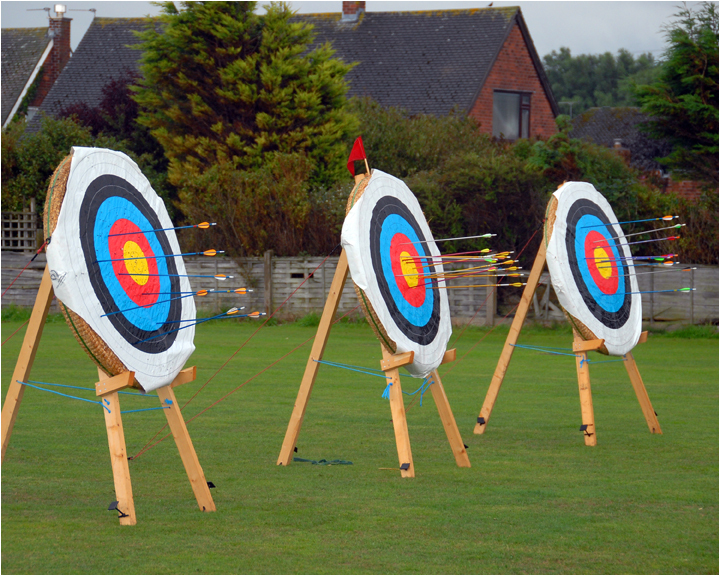 For all enquirers regarding our Archery Beginners Courses contact Dave Young HERE . Places are limited and can only be reserved on payment of the fee on a first come first served basis. Do I Qualify for an Archery Beginners Course? Archery Beginners Courses are open to a wide range of people and we cater for any age over twelve but children under fourteen must be accompanied by a parent or guardian whilst on club premises at all times. What do I need to do before I Start the Archery Beginners Course? If you long hair you should tie it back. Very baggy clothing is not advised. 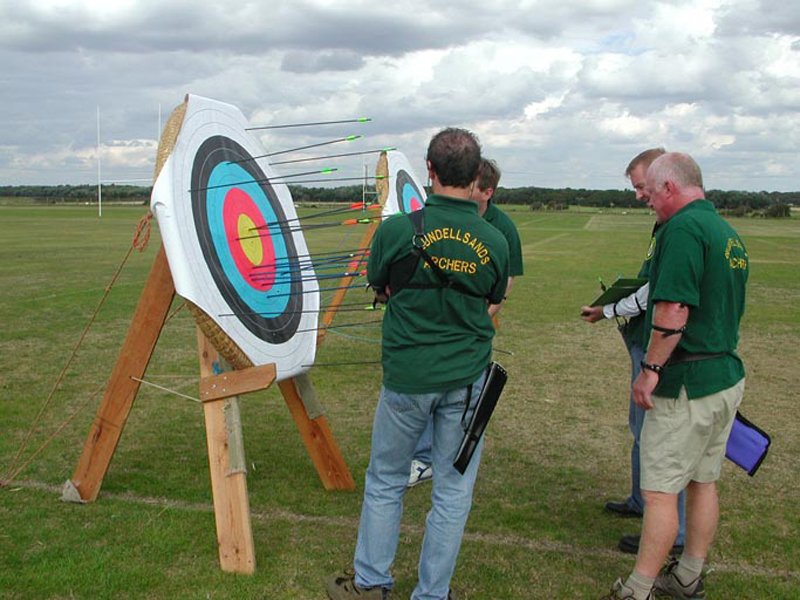 Our Archery Beginners Courses are generally run over three consecutive Sundays commencing at 12 noon until about 5 o clock and all equipment is provided. Tea and coffee are also available free of charge but you could consider bringing some snacks as it can be a long day. Oh and don’t forget some suntan lotion and a rain coat as British weather can be changeable! You will at the end of each session be given an opportunity to give feedback to the coaches about the days training and they in confirm your progress to date and provide you with some paperwork to reinforce the information you received verbally. You will receive your certificate at the end of the three sessions providing you have been making progress. It is recognized by all Archery GB (GNAS) clubs and shows that you have undergone basic training and are therefore safe to carry on developing your skills in the sport of target archery. You may wish to avail yourself of some useful reading material before you attend so please look at the INFORMATION page and the rest of our website. Click HERE for venue location details.